One moment, Ben Miller was high up in the rafters at his neighbor's barn raising. The next, his foot slipped and he plunged to his death, leaving behind a young wife and six children--the youngest born four months after his death. Ruth Miller is not alone. 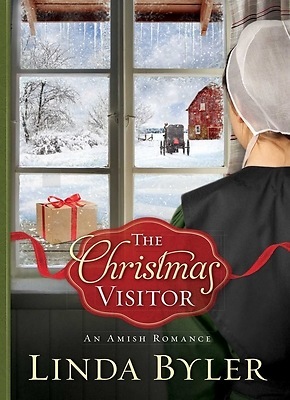 Her Amish neighbors help her to make the difficult transition from wife to widow. But while the community has been generous, raising six growing children, each grieving their father's death, is overwhelming. Devastated by her loss, Ruth isn't sure how she'll make ends meet or restore order to a house full of rambunctious kids. With help from her mother and her energetic, but untidy neighbor, Mamie, Ruth finds a way to start over. Preoccupied with the effort to create a new life and manage her shrinking bank account, Ruth barely notices John King, the handsome newcomer to her community. Besides, how could she--if she had a chance--replace Ben? Does one ever replace a husband? As Christmas approaches, Ruth knows that she can't afford gifts for her children this year. It's hard enough to find money for groceries each week. But then banana boxes full of food, treats for the children, and even money begin to appear on her front porch. Who is leaving her these generous gifts? Is it a neighbor or a friend? Or, Ruth wonders, could it be John, who keeps unexpectedly appearing when Ruth most needs help?